Other Dimensions: Sectional measures 121 inches from left arm to corner and 143 inches from corner to right arm. Chaise is 79 inches deep. Velvety microfiber is soft to the touch. Product Description Modern Luxury. Hip and spirited, but without going overboard, the Cordelle living room set gives your space just the right amount of lush look. Decked out in a rich chocolate color with on-trend trimmings, this ensemble offers eye-catching appeal without sacrificing deep-down comfort. Tufted accents and a mottled texture lend added interest to the contemporary style. Go ahead - indulge! 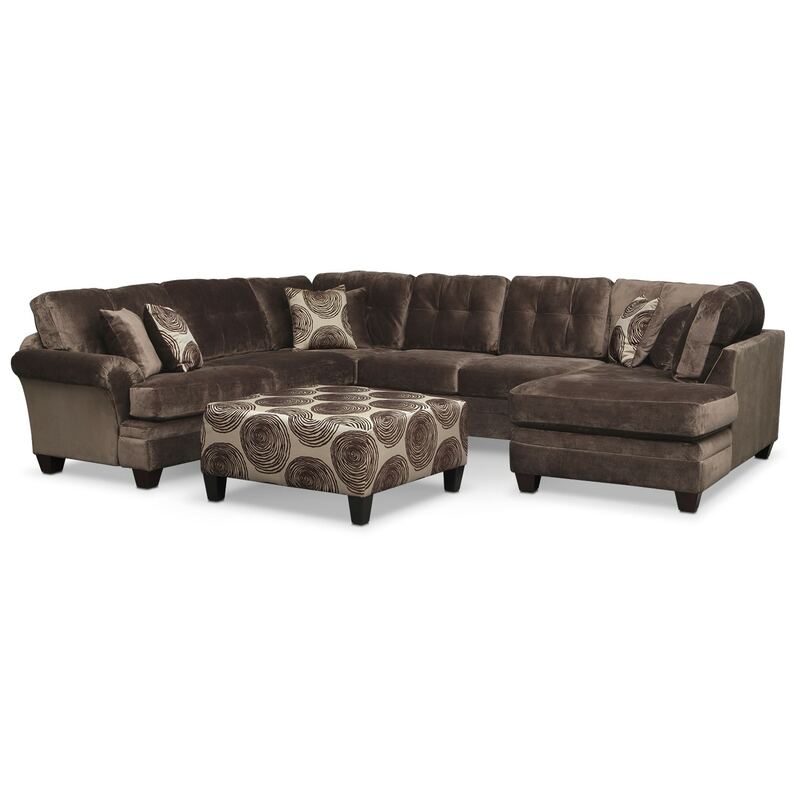 Unique Features: Three-piece sectional offers plush, overstuffed seat and back cushions for luxurious comfort and durability. Eye-catching ottoman and accent pillows swirl with on-trend style. Promising versatility for your living room, the oversized cocktail ottoman features a firm cushion, perfect for sitting or serving. Pillows: Sectional includes three solid toss pillows and three accent pillows.